Pretty sprigs of lavender flowers and bright leaves make this the perfect summer wedding invitation. A beautiful new handmade wedding invitation design just added to my range. This pretty invitation is printed on quality felt textured white card which makes the floral illustration look as if it has been hand painted in watercolour. 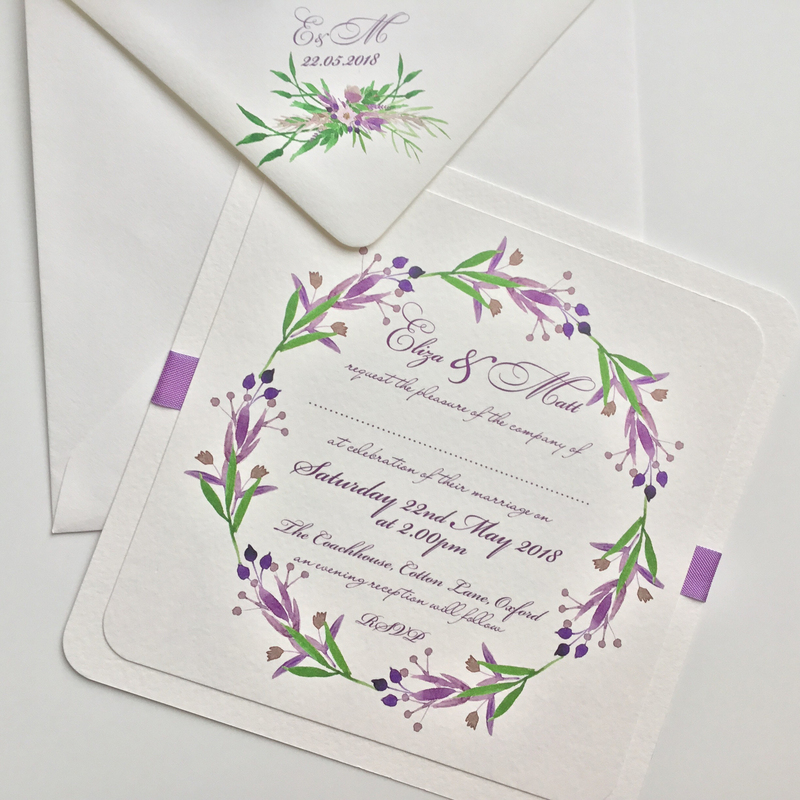 Delicate sprigs of purple flowers with bright green foliage form a wreath around the invitation wording. The wording is printed in a combination of both script and simple fonts which compliment each other beautifully. The invitation is double layered with lavender ribbon running between the layers and around the reverse side. 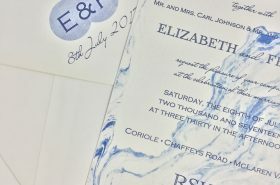 A textured white envelope is included and will have the bride and groom’s initials and wedding date printed the reverse flap along with a pretty sprig of flowers and leaves taken out of the wreath.